There are people who combat the issues of equality, sexism and racism with a straight face. 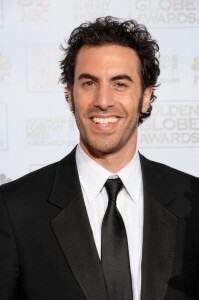 Then there is Sacha Baron Cohen. The actor and comedian is known for his antics, which usually involve dressing up as a character and duping people into admitting to bigoted or racist views. You may recognize him from his outrageous movie characters such as Borat, Ali G or Bruno. Baron Cohen can always be counted on for being off the cuff. Born in Hammersmith, West London, Baron Cohen was the middle of three brothers. He was raised Jewish and his humor is often directed at combatting anti-Semitism. In the early 1990s he was working as a fashion model, a job which inspired the character Bruno. Baron Cohen got started in television when Channel Four put out an open call for TV presenters. True to form, he sent in a tape while playing the role of a fictional TV reporter, Kristo (which formed the basis for the character of Borat.) It got the producer’s attention and landed him a role. In the movie Borat: Cultural Learnings of America for Make Benefit Glorious Nation of Kazakhstan, Baron Cohen played the role of a tourist on a journey across America, in an ice cream truck, with the goal of marrying Pamela Anderson. The film is a “mockumentary” which includes interviews with various American citizens that poke fun at American culture, as well as sexism, racism, homophobia and anti-Semitism. The film was a huge hit, but it made many people uncomfortable. Some have said that Baron Cohen’s performances cause people to face unflattering aspects of their own characters. As Borat, he juxtaposed his own Jewish lineage with the anti-Semitism of his character. Baron Cohen might also be recognized for his stunt at the 2012 Academy Awards. 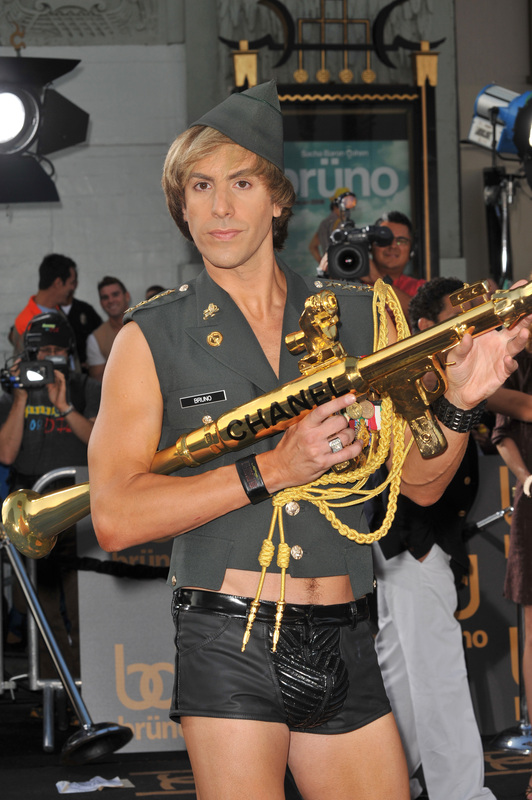 He came in character as “The General” and proceeded to dump “the ashes of Kim Jung Il” on Ryan Seacrest. No matter what, Baron Cohen will continue to grab headlines for unpredictable and provocative behavior. Over the years, Baron Cohen has won many awards. One of the most recent wins was for the British Comedy Outstanding Achievement Award in 2012.